SORRY,but I don't know where to post this. I hoping this is a generic question on brakes.There is a discussion at another site I'm involved with,and as usual, everyone has a different opinion,and don't know what to believe.Maybe some of you pros can answer this. On the old Chevy '49-'54 cars,the brake master cylinder is attached to the frame,under the driver's floor pan. If I were to replace that single res. 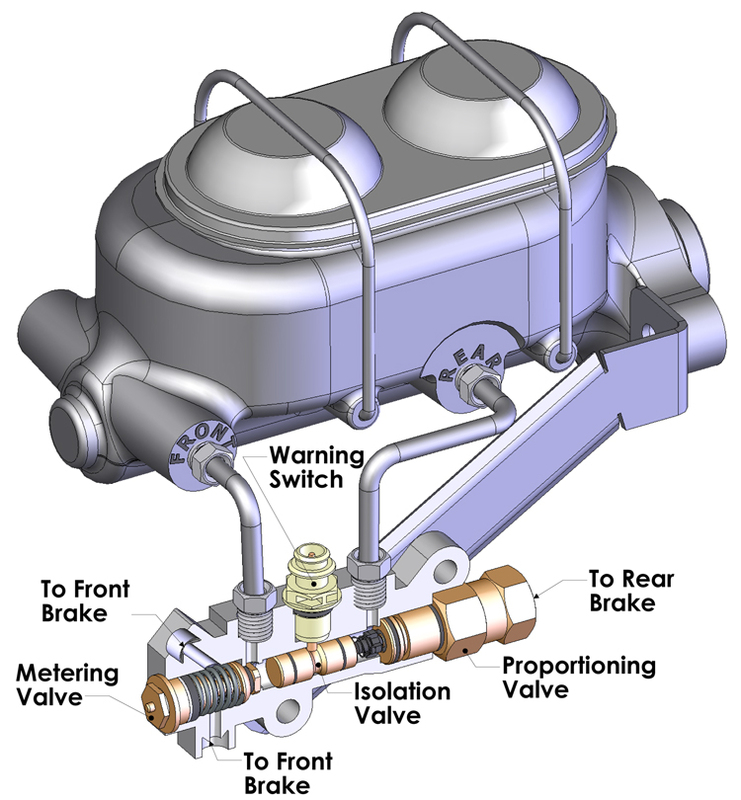 master cylinder, with the safer dual type in the original place, keep my DRUM BRAKES ON ALL 4 CORNERS,is there any need to add a proportioning valve,and /or residual check valve? I have seen conversion kits for this application,but none of them mention having to buy either or both of these valves. Can someone post a link or 2 on the drum brake system,or maybe know the answer. heres some related links, ID call the manufacturers and get their opinion. Thanks alot grumpyvette,very informative.Finally found out what I needed to know.